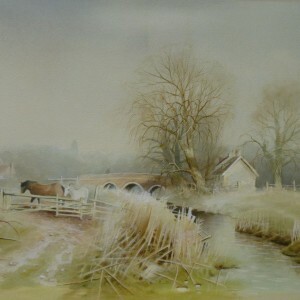 Peter Metcalf was born in Norwich in 1944. 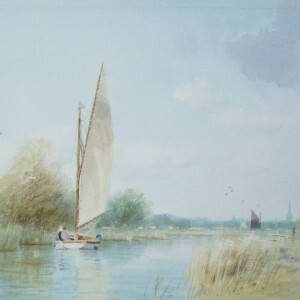 His father was a dyer for the silk trade and when Peter was 15 he joined his father’s business which had expanded to dyeing for the hosiery and shoe trade. 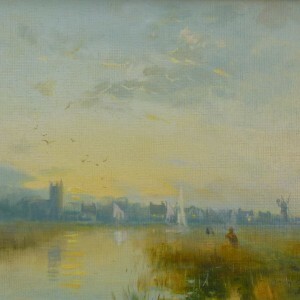 This is where Peter learned his knowledge of colour. 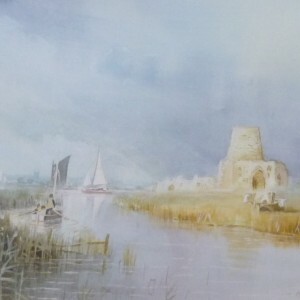 A self taught artist Peter loved his native Norfolk and spent many hours walking the Broadland Marshes. 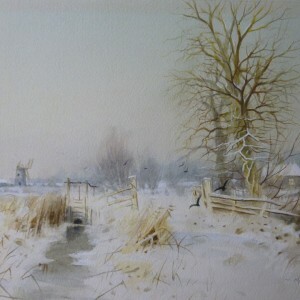 Having such a feel for the East Anglian landscape Peter painted the local countryside often featuring grazing sheep, river banks and quiet country lanes. 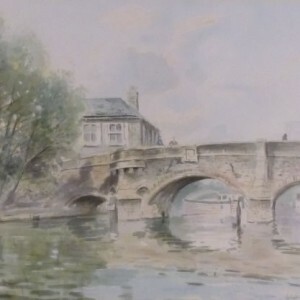 In contrast Peter also painted bustling street scenes such as ‘Gentleman’s Walk’ in Norwich depicting everyday activities. 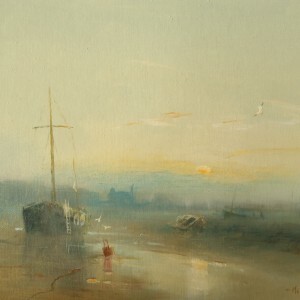 The Norfolk coastline also provided atmospheric subjects of inland creeks at Blakeney and Morston with mud banks at low tide and magnificent evening skies. 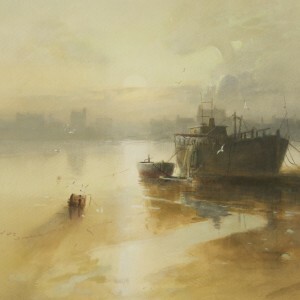 Peter painted both in oil and watercolour and had numerous one-man exhibitions. 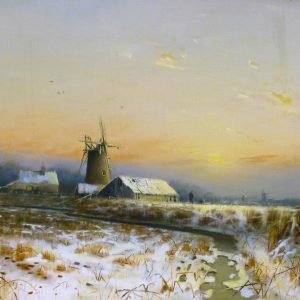 He was a long serving committee member of The Great Yarmouth and District Society of Artists and his paintings are in many local private collections and also in America, Canada, Australia, Holland and Germany – even as far as China. 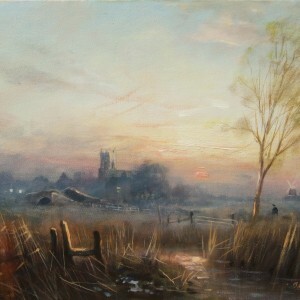 Peter painted for nearly forty years and for the last twenty seven years was a full time artist. 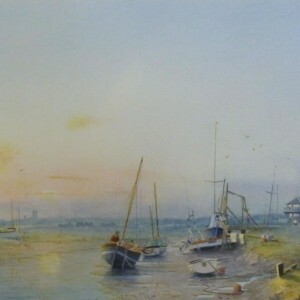 In his later years he suffered from the illness ME, however, he was determined, with encouragement and help from his wife Marie, to continue painting and attended the Great Yarmouth Society meetings. He was greatly liked and had many friends. 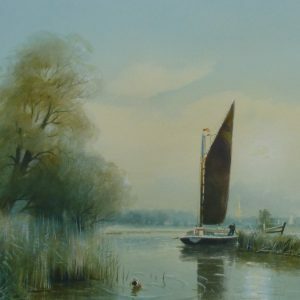 The style of Peter’s work changed as he found the vapours of oil paint made him unwell so, using waterbased paint which still had the appearance of oil, Peter’s paintings took on a new look and became loose and flowing. 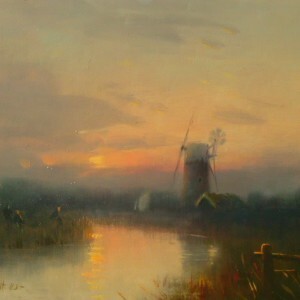 The ‘new’ paint was quick drying so Peter could again work outside ‘Plein Air’ which allowed a spontaneous approach to his work. 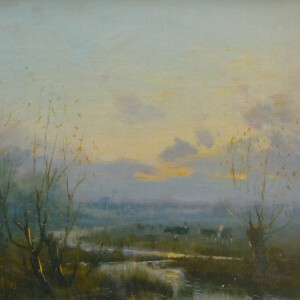 Many of his paintings had been reproduced as prints and greetings cards. Peter Metcalf died suddenly on 28th January 2004 aged 59 years.